Much of our world is governed by the Economy of Scarcity. The Economy of Scarcity teaches that there is only so much to go around and that the wise person takes care of oneself and one’s own first. If anything is left over then you may choose to share. Nations go to war to protect what they have. The governing principle of Scarcity is fear. Fear of not having enough. Fear of someone else taking what is yours. Fear that you must rely on yourself first and foremost. In the United States our mythology of the strong, independent pioneer reinforces this mindset. Libertarian principles both political and cultural reinforce this ideal. The positive side is that it leads people and nations to strive to be self-sufficient. The negative is what takes place when circumstances are so overwhelming that individualism is not enough. We are in such a time. According the United Nations there are currently 195 million refugees the largest since World War II. A series of regional wars fueled by political instability, tribal and religious tensions have formed a perfect storm. 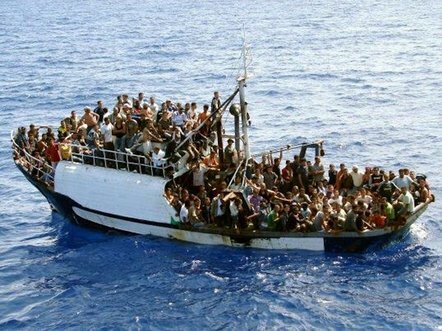 Currently hundreds of thousands of refugees from Syria, Afghanistan, Iraq, Eritrea, Sudan, Libia, Yemen, Somalia and other locals are fleeing for their lives seeking the stability and resources of Europe. The response of Europe has been mixed: Italy and Greece have done their best to cope with refugees coming to their shores in leaky boats (3000 are estimated to have drowned in 2015 to date). Hungary has put up barbed wire fences and is moving to criminalize those fleeing to their country. Germany and Austria which have been the principal leaders for a humane response are at risk of being overwhelmed unless other hesitant countries in Europe step up. Here in the United States the scarcity mindset is at work. After a long silence the Obama administration has offered to settle 10,000 Syrian refugees. In contrast Germany has said it will take up to 800,000 refugees in 2015. Donald Trump is leading in Republican presidential polling with anti-immigration rhetoric. He is calling for forced deportation of 11 million undocumented immigrants in the USA (primarily from Mexico and Central America). He is playing the scarcity card that we can’t afford to take care of others problems whether it be people fleeing poverty or war. Yet the reality is that our world is inter-dependent. Instability in one region has implications for everyone. The Economy of Scarcity offers no answers. Is there an alternative? I invite you to read this blogs next installment. But before we can explore an alternative we must acknowledge the subtle and not so subtle hold that scarcity thinking has on how we so often function as nations, states, tribes, families and as individuals. Fear drives scarcity thinking. But it doesn’t have to be this way. Stay tuned.